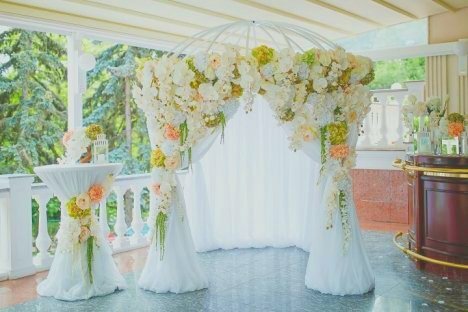 This peach wedding canopy is delightful, but for a DIY bride it is not as hard as you think. These decorations are often offered by a wedding venue and feature silk flowers. If the same were done in fresh, it wouldn't be unusual for a flower shop to charge a minimum of $4000 or more for the wedding design shown below. You can, however, make it much more affordable by providing your own labor and choosing cheaper (or artificial) flowers. Don't feel locked into the same flowers used in this peach wedding canopy. 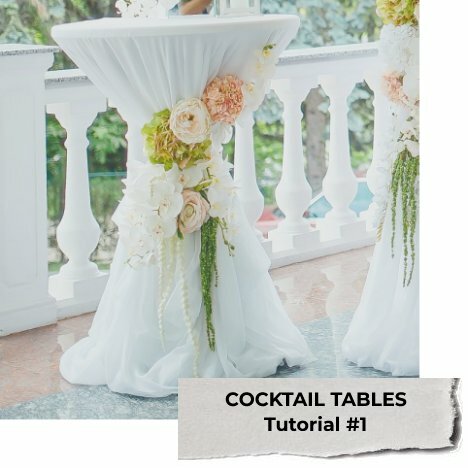 Click on the image below to see a step by step tutorial for creating your own cocktail table swag. A curtain swag for a wedding canopy is created in a manner as you would a church pew decoration. As that particular tutorial is for silk, if you wish fresh flowers be sure to use an Oasis Floracage instead of a block of florist foam. That way your curtains won't get wet and leave unattractive green residue. This is important if you are using rentals. To attach, use wedding tulle (6 inch bolt) to tie the handle of the design to the pole of the drape. 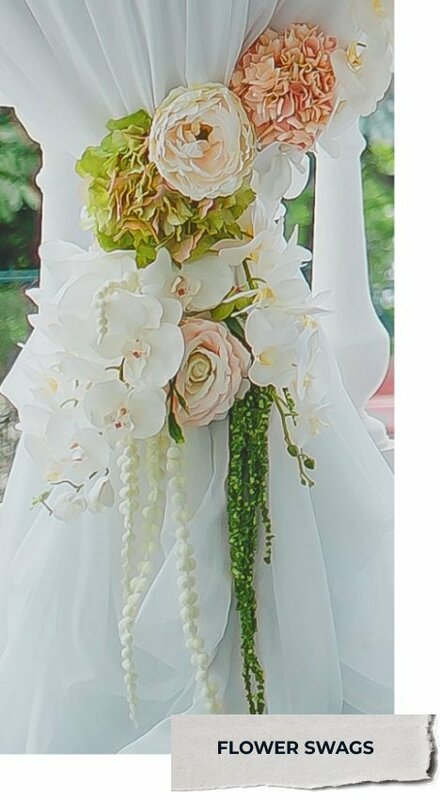 Another option would be to use a slanted Grande Belle Bouquet Holder and following any cascading bouquet tutorial or teardrop bouquet tutorials. As you can tell - designs for different types of flower designs can be interchanged with other flower decorations. It's just a matter of learning the basic skills of floral design, including greening and flowering techniques. To save money, I recommend you substitute cheaper flowers for your peach wedding canopy than the flowers you would use in a bridal bouquet. This will keep your costs for your wedding flowers under control. Save the Garden roses and pricey orchids for your bouquets, as they will appear in all your flowers. Substitute carnations, chrysanthemums, sunflowers, hydrangeas, stockflower and other lovely flowers that can shave a lot of money - but still delivers the "WOW!!" factor you are looking for. The long line of massed flowers can be achieve a couple of different ways. You can green and flower them at home, transporting the separate pieces to your venue and wiring into place. 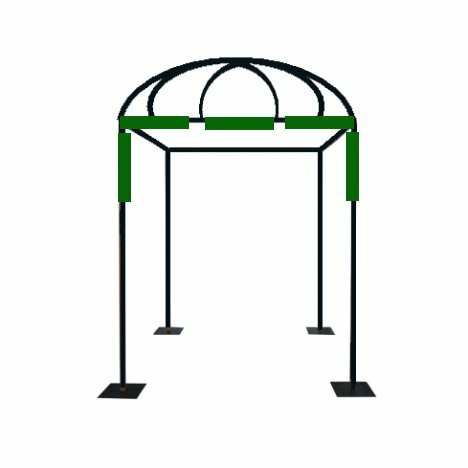 Be sure to insert wooden stakes into the foam to give you "handles" to wire the design to the frame of your wedding canopy or Chuppah. I've demonstrated that in a tutorial for creating wedding arch swags. That is a good set of instructions to read, as the directions for soaking the foam properly and how to attach flowers to a metal framework guides you step by step with photographs. You can use Oasis Raquettes or Spray Bars, which are available in several different lengths. They are long bars of Oasis Florist Foam with a built in tray (keeping the foam from staining the cloth). They absorb water quickly and keep your flowers fresh longer. 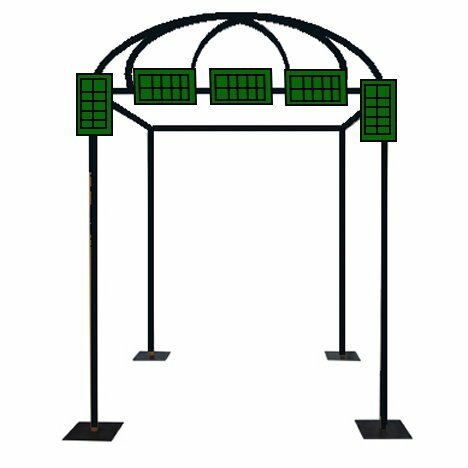 You can also use Oasis Floracages or Jumbo cages They come in a variety of sizes. Why use separate cages? It makes them much easier to transport than one long piece of florist foam. You can green and design them at home and transport and quickly wire into place. Cages all have convenient ear tabs for an easy attachment or ribbon, tulle or wire for attaching to your peach wedding canopy.